Mirza Ghalib was a distinguished Urdu and Persian poet. This biography profiles his childhood, family, life history, struggles, compositions, etc. Mirza Ghalib was a distinguished Urdu and Persian poet, considered to be the last great poet of the Mughal era. This virtuoso, who was from a Central Asian family of Aibak Turks, who traditionally served as soldiers, followed his own passion in writing and transcended as one of the most influential and popular poets in the Urdu language. Overcoming all odds that eclipsed his personal life, including losing his father as a child, facing financial constraints throughout his life, becoming alcoholic, violating norms, and even getting incarcerated, he stood out with his fascinating poetry, prose pieces, epistles, and diaries. The most remarkable poems of this literary master were in the forms of the “ghazal” (lyric), the “qaṣīdah” (panegyric) and the “mas̄navī” (moralistic or mystical parable). Struggling through penury and other adversities, he finally garnered recognition after being inducted as the poet laureate in the court of the last Mughal emperor of India, Bahādur Shāh II. Born Mirza Asadullah Baig Khan, he used the pen-names Ghalib, meaning dominant, and Asad, meaning lion, while crafting his imaginations. His honorific was “Dabir-ul-Mulk, Najm-ud-Daula.” His rich body of literary work has remained an inspiration for other poets and writers for generations and continues to touch the soul of the Hindustani populace, beyond the ambits of India and Pakistan. 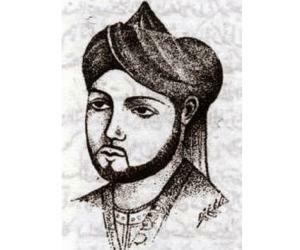 He was born Mirza Asadullah Baig Khan, on December 27, 1797, in Kala Mahal, Agra, to Mirza Abdullah Baig Khan and Izzat-ut-Nisa Begum. His birthplace now stands as the ‘Indrabhan Girls' Inter College.’ The room where he was born has been conserved. He was a descendant of an Aibak Turk family, who, following the downfall of the Seljuk kings, had relocated to Samarkand, one of the oldest cities of Central Asia that is part of modern-day Uzbekistan. His mother was an ethnic Kashmiri. During the rule of the Ahmad Shah Bahadur, the 15th Mughal emperor, Ghalib’s paternal grandfather, Mirza Qoqan Baig Khan, who was serving as a Saljuq Turk, migrated from Samarkand to India. He worked in Lahore, Jaipur, and Delhi, before settling in Agra. Mirza Qoqan Baig Khan was given the sub-district of Pahasu, located in the Bulandshahr district of Uttar Pradesh in India. Ghalib’s father initially served the “Nawab” of Lucknow and thereafter, the “Nizam” of Hyderabad. He lost his father in the battle of Alwar in 1803, when he was five. Following the tragedy, Ghalib’s uncle, Mirza Nasrullah Baig Khan, took care of him. 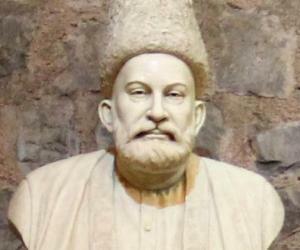 Ghalib learned Urdu as his first language while Turkish and Persian were also used at his home. 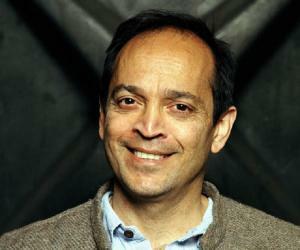 As a young boy, he studied in Persian and Arabic languages. A tourist from Iran had come to Agra and had lived in his home for a couple of years. Ghalib was then in his early teens. Ghalib soon befriended the tourist, Abdus Samad (originally called Hormuzd), who had just converted to Islam. Under Samad, he learned Persian, Arabic, logic, and philosophy. His marriage was arranged with Umrao Begum, when he was 13 years of age. Umrao was the daughter of Nawab Ilahi Bakhsh and the niece of the “Nawab” of Ferozepur Jhirka. Following the marriage, he relocated to Delhi with his schizophrenic younger brother, Mirza Yousuf Khan, who later died in 1857. His wife was regarded as a religious and orthodox lady. Although there are contrasting reports regarding the relationship of the couple, the poet has described his matrimonial life as yet another imprisonment, life being the first, in one of his epistles. The idea that life is an ongoing struggle, which can only conclude with the death of a person, is a recurring theme in his poetry. His manners, including taking loans, borrowing books, drinking continuously, breaking norms, and gambling, often made him infamous. He earned the repute of being a “ladies' man” in the Mughal court circle and was also incarcerated for gambling. The virtuoso however remained nonchalant and continued with his demeanor. On one occasion, when someone had appreciated Sheikh Sahbai’s poetry, Ghalib was quick to comment that Sheikh Sahbai could not have been a poet, as he had never drunk wine, never gambled, had never been thrashed with sandals by lovers, and had not even visited jail. He was awarded the title of “Dabir-ul-Mulk” by Emperor Bahadur Shah II in 1850. Bahadur Shah II also conferred him with the titles of “Najm-ud-daula” and “Mirza Nosha,” with the latter leading him to add “Mirza” as his first name. Such bestowal by the emperor signified Ghalib’s inclusion in the nobility of the regal court. Emperor Bahadur Shah II was himself a noted Urdu poet, whose court was graced by other skilled Urdu writers, such as Mumin, Dagh, and Zauq, of whom Zaug was Ghalib’s closest rival. In 1854, Bahadur Shah II inducted Ghalib as his poet tutor. Ghalib soon became one of his noted courtiers. The emperor’s eldest son, Prince Fakhr-ud Din Mirza, also came under the tutelage of Ghalib. 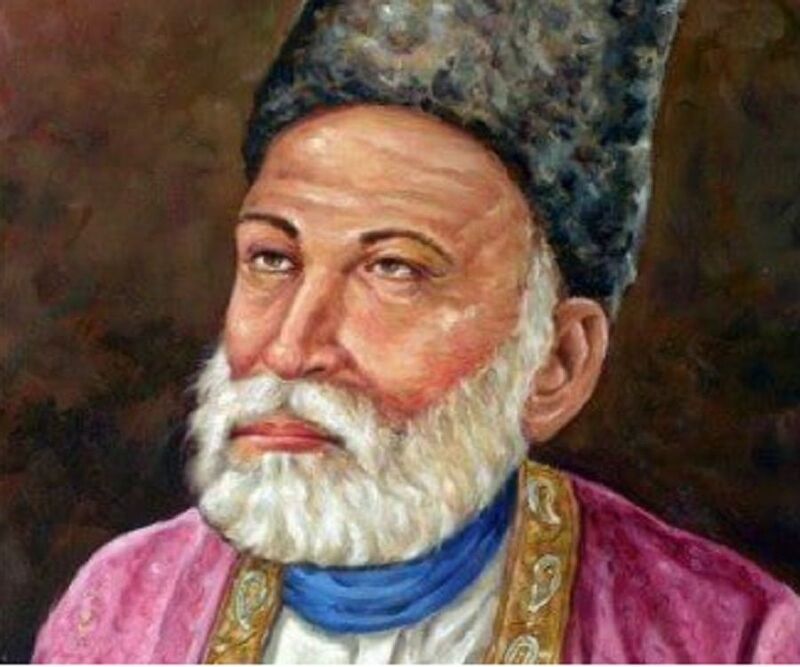 Ghalib also served as the royal historian of the Mughal court and led his life either on the patronage of the emperor or on the magnanimity and borrowings from friends. With the downfall of the Mughal Empire and the emergence of the British Raj, Ghalib strived in pleading with every possible authority of the government formed by the British. He is also said to have travelled to Calcutta to get his full pension restored. Thus, penury and hardship continued to be an incessant part of his life. He lived in a house in Gali Qasim Jaan, Ballimaran, Chandni Chowk, in Old Delhi. The house, which is now called ‘Ghalib ki Haveli,’ has been declared a heritage site by the ‘Archaeological Survey of India.’ Also known as the 'Ghalib Memorial,' the house holds a permanent exhibition of the poet that offers a glimpse of the poet’s lifestyle and of the rich architecture of the Mughal era. He used to hold his Persian compositions in high regard. However, his Urdu “ghazals” have earned him more recognition among the newer generations. The purview of “ghazals,” which till such time had been predominantly restricted to the expression of heartbreak in love, was expanded by Ghalib. He included different subjects in his “ghazals,” such as the enigmatic aspects of life and philosophy among others. 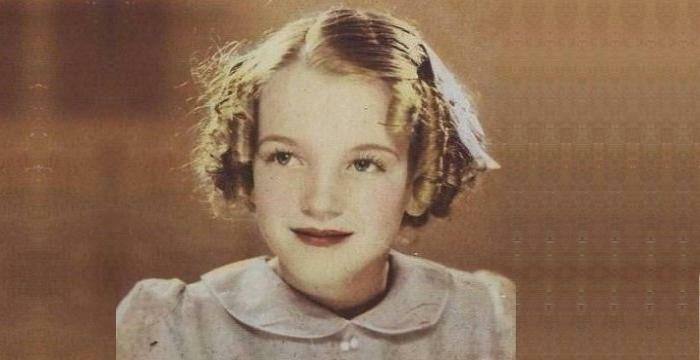 However, in most of his verses, he maintained the tradition of keeping the gender of the adored unspecified. Many Urdu scholars elucidated Ghalib’s “ghazal” compilations. The first such work was by poet, translator, and scholar of languages Ali Haider Nazm Tabatabai from Hyderabad. The fascinating letters of Ghalib, written in Urdu, have also given way for simple and popular Urdu, as before his time, letter-writing in the language used to be much more decorative. His way of writing was quite informal and sometimes humoros. His interesting letters gave the readers the feel of having a conversation with him. His prose pieces were also beautiful and simple, yet unique, and created a revolution in Urdu literature. Ghalib not only rebuked Khan for focusing on such dead things, but also lauded the "sahibs of England” who, by that time, were in control of all the “a’ins” of his homeland. The poem has a translated version too, written by Shamsur Rahman Faruqi. On September 20, 2010, an anthology of Persian poetry by Ghalib, titled ‘Kulliyat-e-Ghalib Farsi,’ compiled by Dr. Syed Taqi Abedi and containing a rare collection of 11,337 verses by the master, was released jointly by the ambassadors of India and Pakistan, during an Iranian Ministry of Arts and Culture-sponsored function in Tehran. It was earlier released at the ‘Maulana Azad National Urdu University’ in Hyderabad, India. According to Dr. Taqi, by 1865, Ghalib had written 1,792 couplets in Urdu and 11,340 in Persian. He was a dedicated Muslim, who believed in seeking God instead of following religious practices. Through his literary work, particularly his poetry, he showed reverence for the Muhammad. Some of his works that illustrate his respect for the Muhammad include ‘Abr-i gauharbar’ (The Jewel-carrying Cloud) and a “qasida” of 101 verses. He abhorred the practices of some “Ulema,” who, in Ghalib’s poems, reflect hypocrisy and prejudices. Ghalib also wrote against some “maulavis” (clerics) and criticized them for their lack of knowledge and for their imperious confidence. Once, when the Indian rebellion of 1857 was in full swing, soldiers had dragged Ghalib to Colonel Burn for interrogation. This was on October 5, 1857, in Delhi. Bewildered by the Central-Asian Turk-style headdress he was wearing, the colonel asked, "Well? You Muslim?" Ghalib answered "Half?" The colonel asked again, "What does that mean?" Ghalib replied, "I drink wine, but I don't eat pork." His take on Hindustan is palpable from the poem ‘Chiragh-i-Dair’ (The Lamp of Temple), which he wrote on his trip to Benares, in the spring of 1827, and where he mused about the Indian subcontinent. This world-renowned poet breathed his last on February 15, 1869. He was interred in Hazrat Nizamuddin, in Delhi, India. He often said that he would get his due recognition from later generations, and ironically, his eventual rise to fame occurred posthumously. 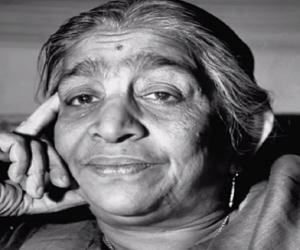 The life of this virtuoso has been portrayed in films and theater in both India and Pakistan. The Indian film ‘Mirza Ghalib’ (1954) starred legendary actor Bharat Bhushan as Ghalib. He was also portrayed by Pakistani film superstar Sudhir in the Pakistani film ‘Mirza Ghalib’ (1961). Reputed Indian poet, lyricist, and film director Gulzar produced a popular TV serial, ‘Mirza Ghalib’ (1988), which was aired on ‘DD National’ and had Naseeruddin Shah playing the poet.